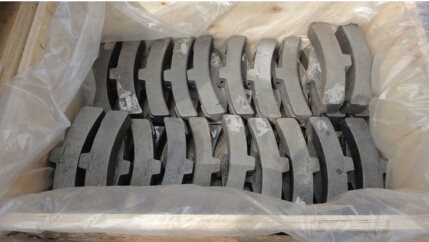 Our cast iron brake block enjoys many advantages including hardness, impact strength and so on. It consists of two parts, the cast iron and the steel support. Both the surface and core of the cast iron have the hardness within the range of 197< HB< 255. 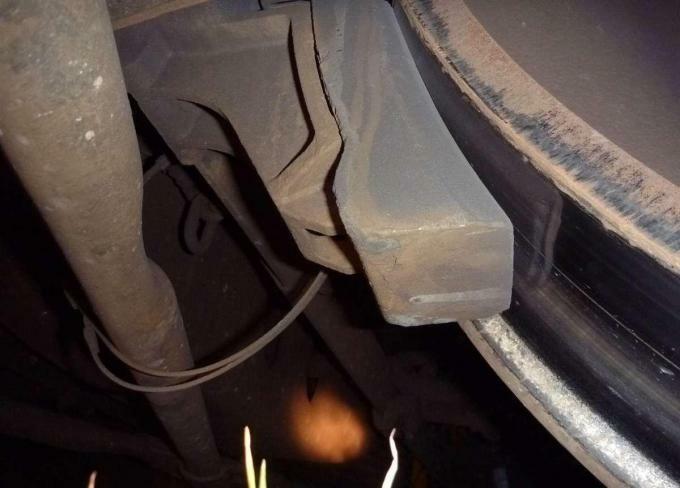 When facing subsequent impacts to the brake block or brake shoe, the steel support must remain intact and attached to the iron places. The connection bridge may possibly become detached but should not show any soundness defects. 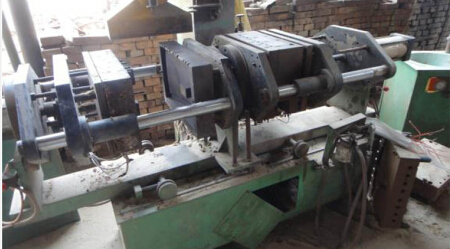 Separated from the brake shoe, the support must be able to withstand the bend test with cracking or breaking. 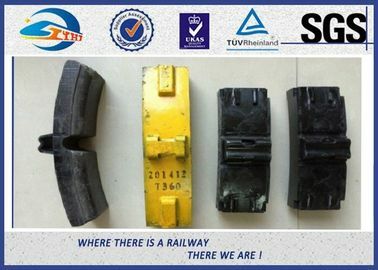 The brake shoe are located on the wheel tread. when braking, two pieces of brake block clamp the wheel to make it stop. Result: Does not melt or burn for continuous use. The materials of composite brake block consist of 3 main substances including reinforcing fiber, organic/inorganic filler and resin bound. It has a high level of uniformity. It can be separated from the backing plate. It contains no asbestos, lead, zinc or other mixtures. It also contains no toxic materials. The hardness of the material is lower than the wheel's. It causes no strong smell in friction. 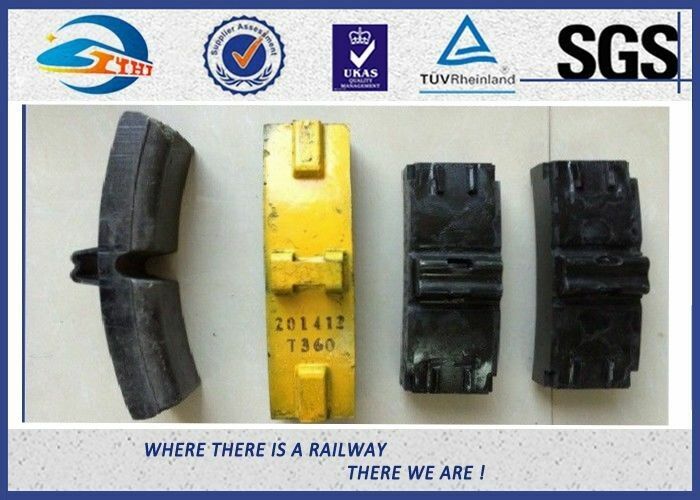 Backing plate for a trains' composite brake block must meet the following criteria. Firstly, it is made of ST-41 steel plate, and is constructed to transmit the braking force to the composite material. Secondly, there should be a binding structure between the composite material and backing plate, thus forming into a integrated unit and ensuring sufficient bending strength and stiffness. Vernier caliper or other methods are used to test the dimension of the brake block. Excessive wear won't be caused on the surface of the wheel and the composite brake block. The composite brake block will not cause the wheel porous or cracked. It won't stick at the wheel during braking therefore won't cause uneven wheel surface. It won't cause wheel slipping during full braking in wet conditions. Disadvantage: Produce a stench when tight. Our composite brake block is an ideal replacement of the metallic (gray cast iron) brake block. 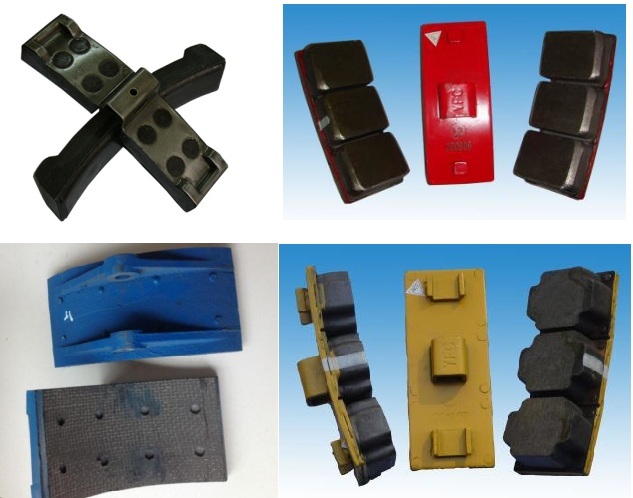 Composite brake block features motion to the wheel and well fitness between the brake block and brake block shoe (brake holder). If you have any futher question or request, welcome to contact me.